Our beautiful campus is tucked into SW Washington and offers breathtaking views of the Pacific Northwest. 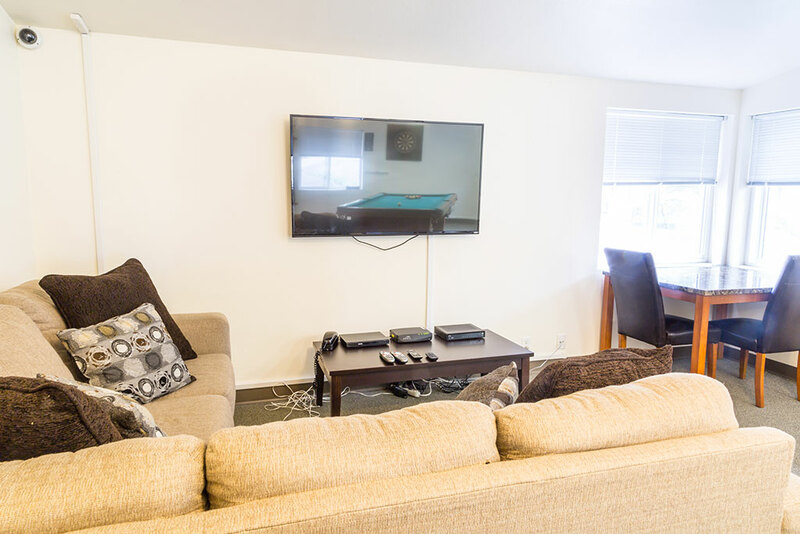 Here in the mountains, we’ve created a safe and soothing environment where you can disconnect and recenter. 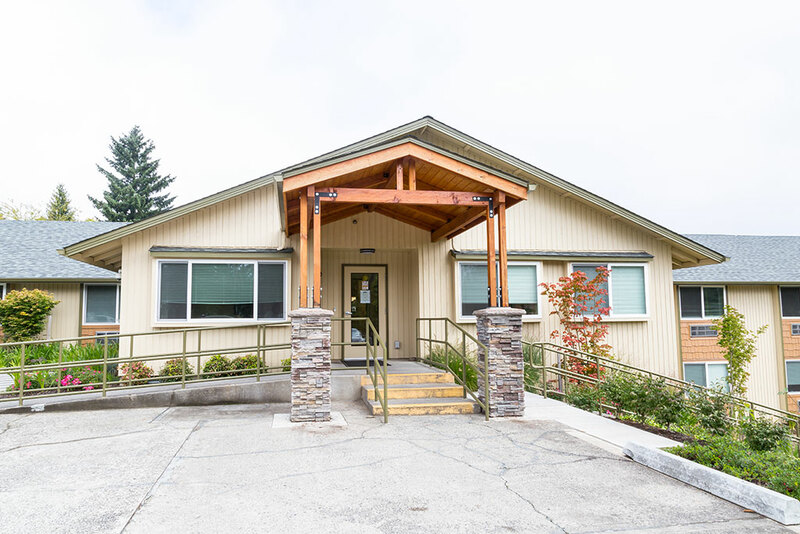 We invite you to come and see for yourself why The Recovery Village Ridgefield is among the best drug rehab centers in Washington State. It’s time to focus on one thing only — your recovery. 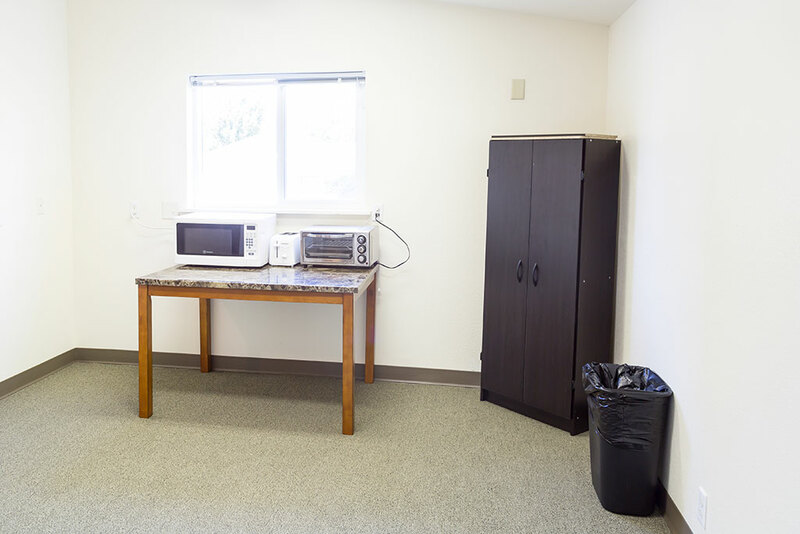 Our rooms are very similar to what you’d find in a hotel — plush beds, a private bathroom, and plenty of natural light. Yoga has proven healing powers. That’s why we offer classes several times per week. 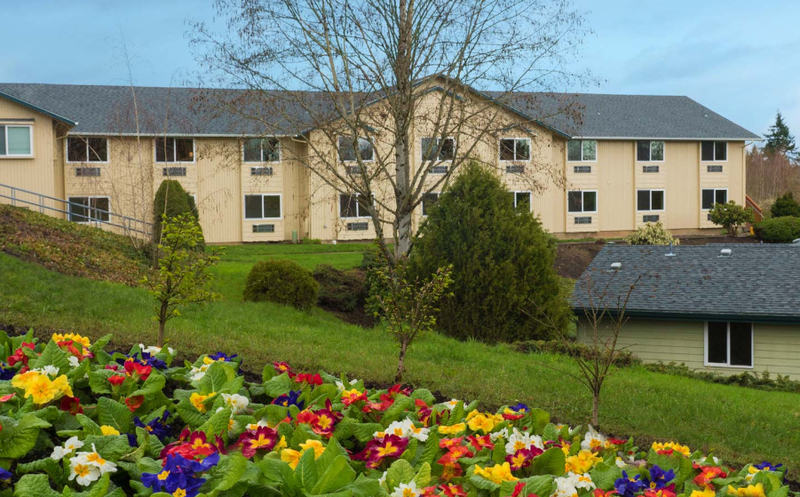 Relish the beauty and tranquility of the Pacific Northwest in our picturesque outdoor and indoor common areas. Proper nourishment plays a role in your recovery. Our chef and registered dietitian work hand-in-hand to design tasty, delightful, nutrient-packed meals. 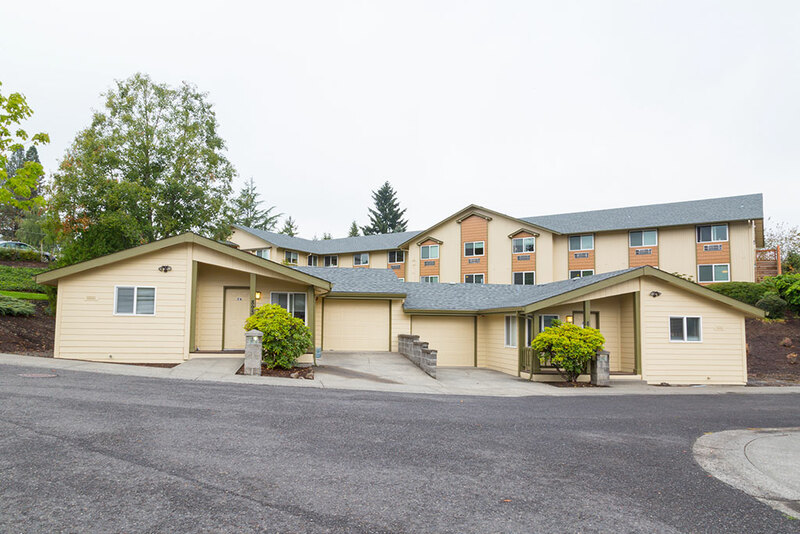 Located in Ridgefield, Washington, our campus harnesses the serenity of the Cascade Mountains. We benefit from a comfortable level of seclusion — it’s quiet enough that we often hear the joyful chirping of birds. 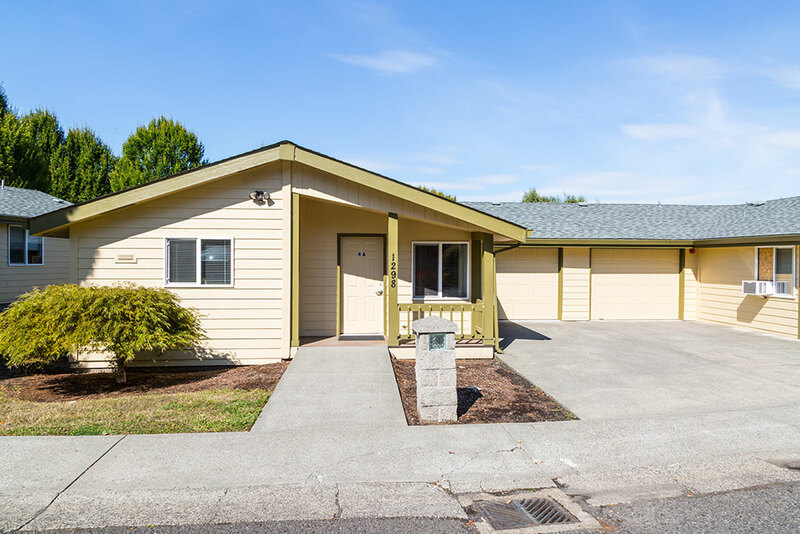 Nonetheless, our campus is easily accessible from the metro areas of Vancouver and Seattle, WA, and just a half hour from Portland, OR. Also, we are less than two hours’ drive from gorgeous West Coast beaches. 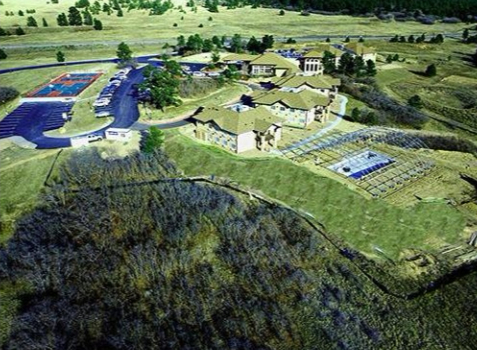 We chose this rehab location for its natural beauty and the essence of peace found here. 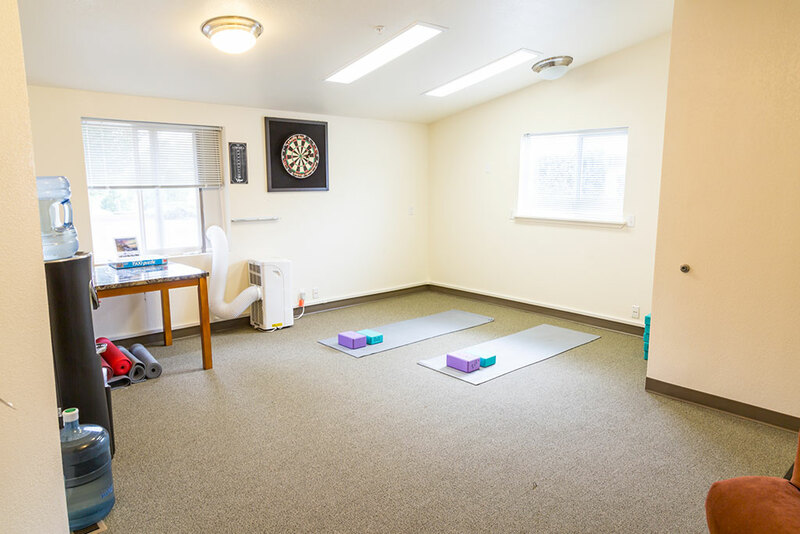 In our combined decades of treatment experience, we’ve found that rehab works best with fewer distractions. 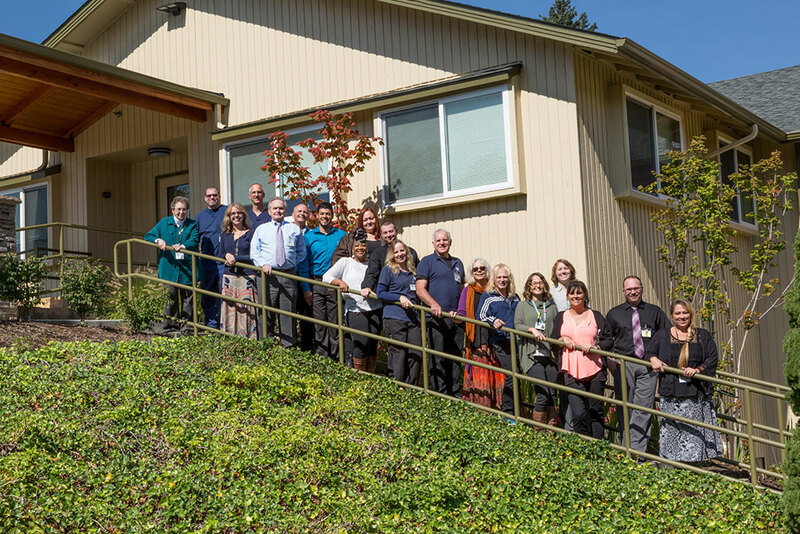 Whether you are local to the Pacific Northwest region or your home is far away, The Recovery Village Ridgefield has much to offer you. Our continuum of programs ensures that we can meet you wherever you are in your journey to sobriety. 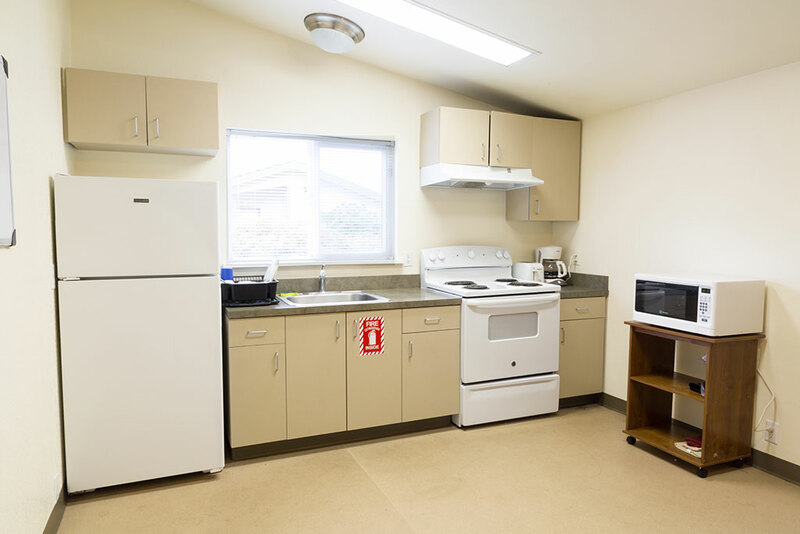 We offer residential addiction treatment and a range of outpatient services, including an Intensive Outpatient Program (IOP) and a Partial Hospitalization Program (PHP). Your long-term wellness is a top priority, so we also provide aftercare services to support you once you leave treatment. Most of our licensed therapists have earned special certification in addiction treatment, and all are master’s level or higher. During therapy sessions, you will engage in evidence-based such as Cognitive Behavioral Therapy (CBT) and traditional remedies such as art therapy.